One food that tends to be a nemesis for my clients with IBS, is cow’s milk, which contains the milk sugar lactose. IBS or not, lactose intolerance is quite common in adults, especially in African American, Asian, American Indian, and Hispanic populations, and lactose-free products can be a godsend for those lactose intolerant folks who enjoy cow’s milk and don’t want to eliminate it from their diets. This is where Lactose Free milk, such as the Organic Valley brand, comes in quite handy. Albeit, a tad bit sweeter than lactose containing milk, since the lactose, aka milk sugar, has already been broken down in to it’s components, glucose and galactose. This month, The Southwest Dairy Association is challenging Recipe ReDux members to create holiday recipes using lactose-free cow’s milk, so today’s Quinoa Pudding was made especially for those of you with lactose intolerance, anyone on a FODMAPs diet, and everyone else for that matter, since the pudding is equally delicious with regular cow’s milk, or any non-dairy alternatives. 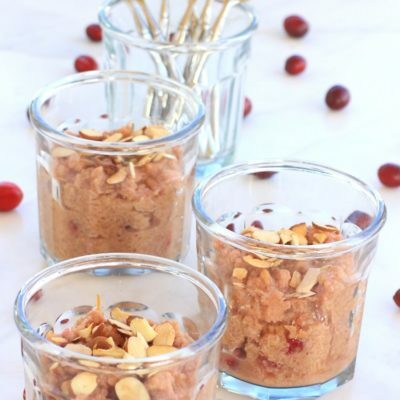 Oh, and since cranberries are still deliciously in season, I’ve added them to this pudding to continue the November #cranberrylove celebration! Pre-heat oven to 400 degrees. Place cranberries and orange juice in a medium sauce pan, and heat until boiling. 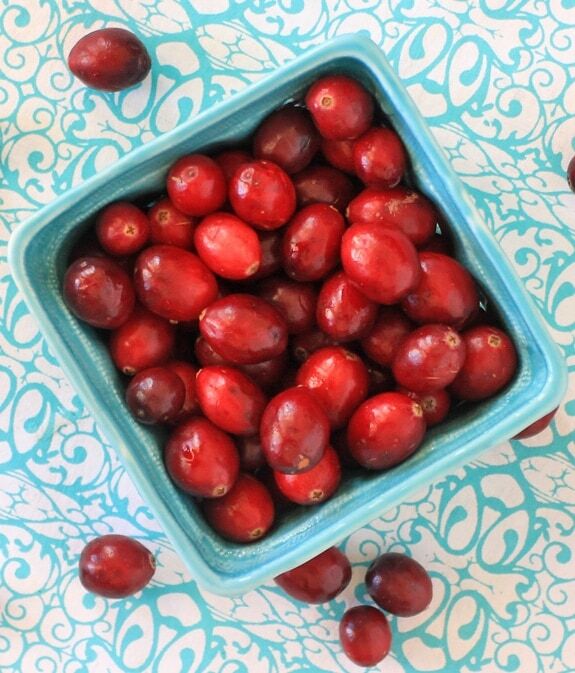 Reduce heat and simmer for approximately 5 minutes, or until cranberries have "popped" and are cooked through. Add quinoa, milk, maple syrup, vanilla, and orange zest to orange juice and cranberry mixture, and heat until boiling. Turn heat down to medium low and cover ~2/3 of the pan. Cook mixture for ~ 30 minutes, or until pudding consistency is achieved. Stir every 3-5 minutes to prevent sticking. While quinoa is cooking, place sliced almonds on a baking sheet, and bake in oven for 4-5 minutes, or until lightly brown and toasted. Divide quinoa pudding equally in to 7 serving dishes, and top with toasted almonds. Serve warm, or you may chill pudding in fridge, and serve cold. 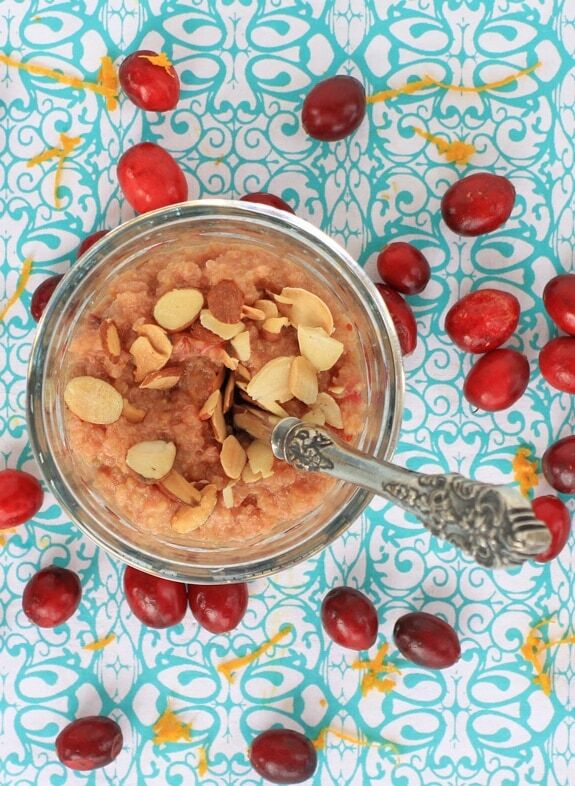 This Cranberry Orange Quinoa Pudding not only makes for a healthy and delicious dessert, but makes for a fabulous breakfast as well. Pinky swear, I promise not to tell your mom you’re having pudding for breakfast! This is such a gorgeous recipe. Beautiful photo. I need a new breakfast go-to! This looks so good, such a perfect combination of ingredients! Like you said, you really can’t go wrong with this for either breakfast or dessert! Sounds really good! Would love eating this for breakfast, would be such a treat to start the day right. Can’t wait to make it! 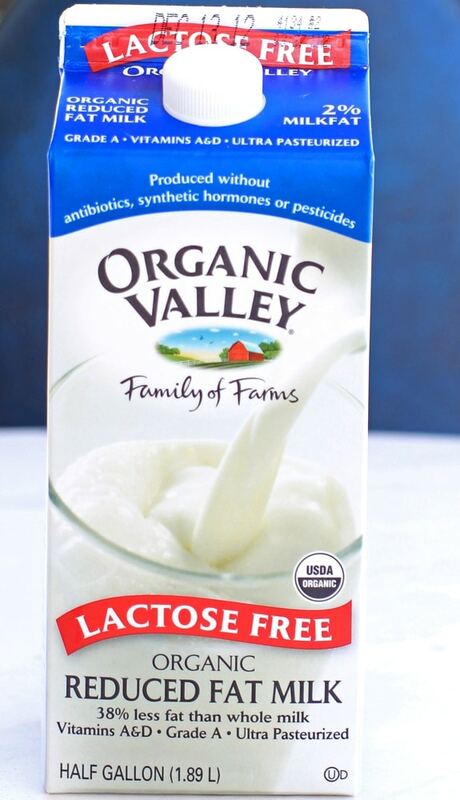 I didn’t know organic valley made lactose free (blech lactaid) good to know. This is a keeper, I eat chia pudding for breakfast quite often love that it feels rebellious. Love this pudding-as-breakfast idea. I am just starting to experiment with chia (I know, where have I been) and this is a great one to try. I tend to just pop it into porridge and bakes but this sounds lovely, EA. Great FODMAPS links too. 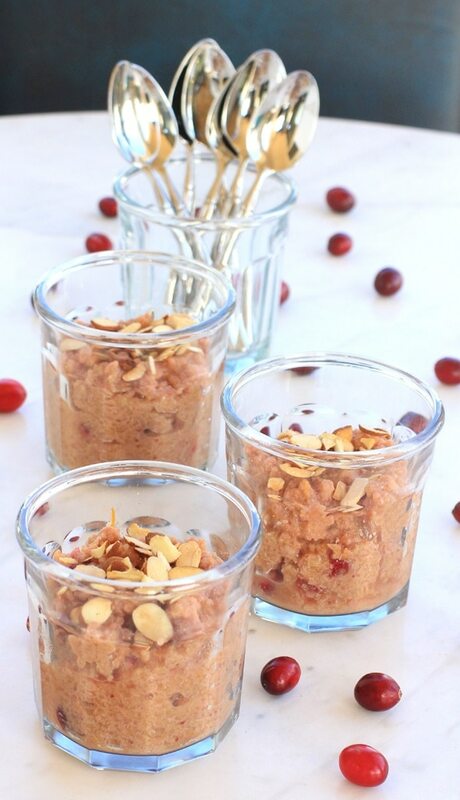 Cranberries are the berry of the season and this pudding is perfect for everyone. I love quinoa, but never thought of using them in pudding. Looks absolutely tempting! Yeah for FODMAPs!! It’s saved my life 🙂 I’ll be pinning this recipe to my fodmaps board! So this lactose-free milk is actually broken down already, to galactose and glucose? It’s not just the enzyme like with lactaid? That’s interesting. Question, how do I get on that Low FODMAPs RD list?? I know you have done great with FODMAPs, and love your recipes too! Re: Organic ValleyLactose-free milk-it has the Lactaid added to it too, but the lactose is broken down by the time you drink it, so it tastes a little sweet~Same concept as other brands of lactose-free milk. I will send you the ink to sign up for the FODMAPs RD list! Awww….thanks Rebecca 🙂 Hugs back! Oh wow! This looks just amazing! Such a unique recipe and I love the ingredient list. Thanks for posting info on FODMAPS. I need to learn more! You’re welcome Kristen! 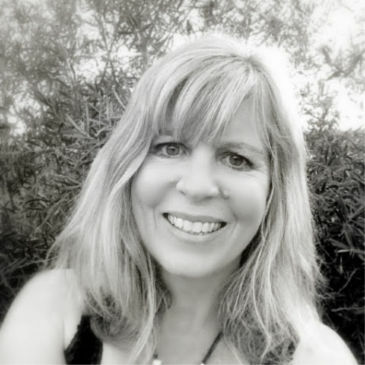 I highly recommend you check out Patsy and Kate’s websites~lot’s of great FODMAPs information! I’ve never heard of lactose free milk, usually people I know will use non-dairy milk like soy milk/coconut milk which is very much part of our daily life in South East Asia. Love quinoa pudding, but never thought to make it with juice.. great idea! Absolutely you could make this with soy or coconut milk and it would be delicious too. Lactose-free milk is great for those who are lactose intolerant, but still want to enjoy cow’s milk. Enjoy! Thanks Amy! I really hope your dad gets to try it out! What a great idea… festive, creamy, comforting & healthy 🙂 Just the combo I like for recipes!! Ahh, just delightful!! Love different whole grains as puddings and I’m on a cranberry kick right now – look forward to trying this one out.